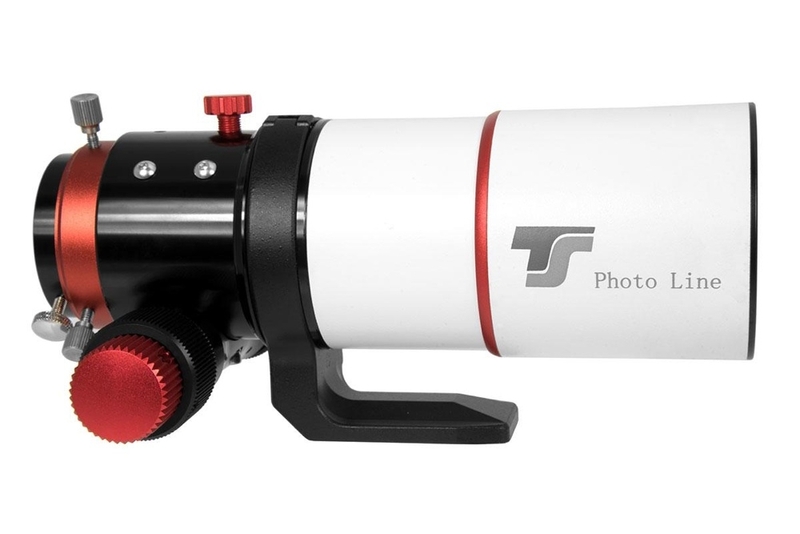 TS-Optics Photoline FPL-53 60mm f/6 apochromatic refractor is THE travel telescope which you have always been looking for. Thanks to a sliding dew cap, the telescope has a transport length of only 23 centimeters. 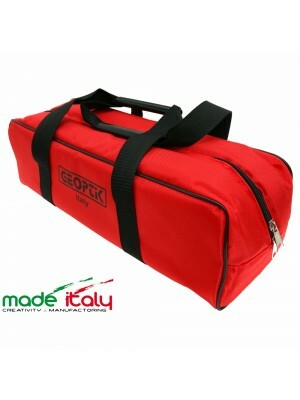 Thus it has enough space in any hand luggage. Mount the apo onto a photo tripod or an astronomical mount, depending on the usage. You will love the outstanding optics and the high-quality mechanics. - Clear and contrasty image without chromatic aberration thanks to FPL53 (Ohara - Japan) with lanthanum glass doublet lens. - 2" rack and pinion dual-speed focuser with ball bearings: it can load even heavy accessories. - M54x0.75 connection thread for astrophotography for threaded connections. 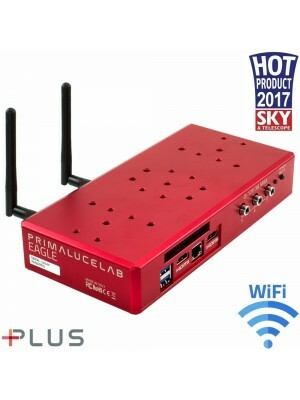 - Generous working distance for all common correctors and also 2" star diagonals for visual use. - Useful L-bracket with multifunctional plate. The apo fits to any photo tripod and with an additional dovetail plate also to astronomical mounts. 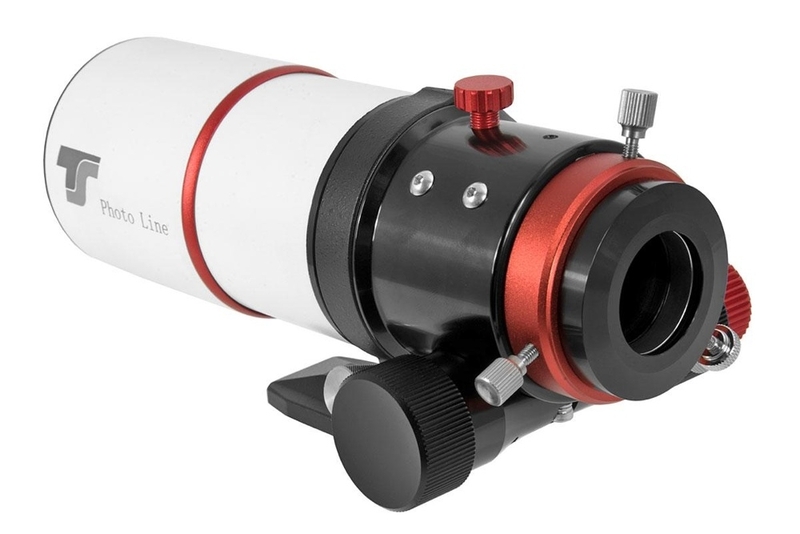 This PhotoLine apo refractor offers all possibilities for astrophotography or terrestrial photography, it can replace an expensive apochromatic telephoto lens. With the TSFlat60 corrector the refractor becomes an apochromatic telephoto lens with 360 mm focal length and a focal ratio of f/6. A field of 41 mm diameter is fully corrected and illuminated. Thus even using full-frame size sensors becomes possible. The corrector is attached via the M54 thread. You can achieve the optimal camera position through the 360° rotation. By using the 0.79x Reducer TSRED279 the focal length is reduced from 360 mm to 284 mm and the focal ratio becomes f/4.7. The working distance from the T2-thread is 70 mm. 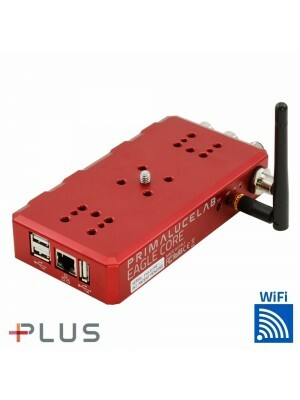 We recommend the reducer with cameras with sensors up to APS-C dimension. You only need an additional 15 mm T2 extension tube and the matching T2-ring. 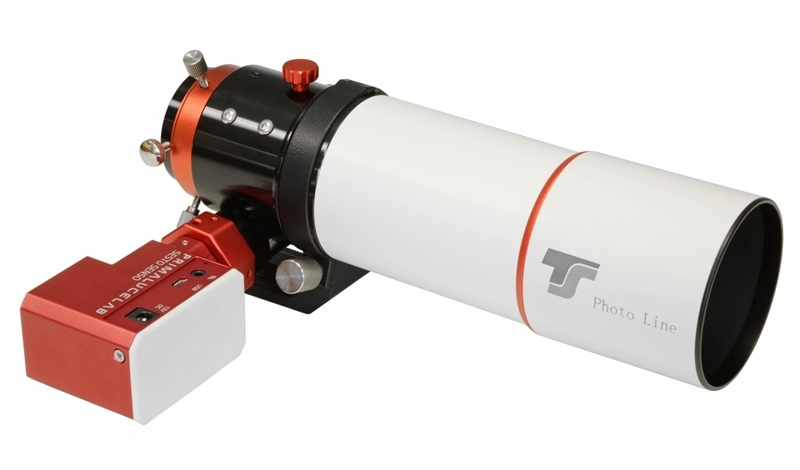 TS-Optics Photoline FPL-53 60mm f/6 apochromatic refractor with SESTO SENSO, the robotic focusing motor, installed on the focuser by adding the 33mm adapter for SESTO SENSO.